Lamigard is a unique equine feed supplement, which combines top quality nutrients in a palatable and easy to feed supplement to promote hoof health. It is designed to optimise circulatory processes thus enhancing absorption of the nutrients as well as their effective utilisation. 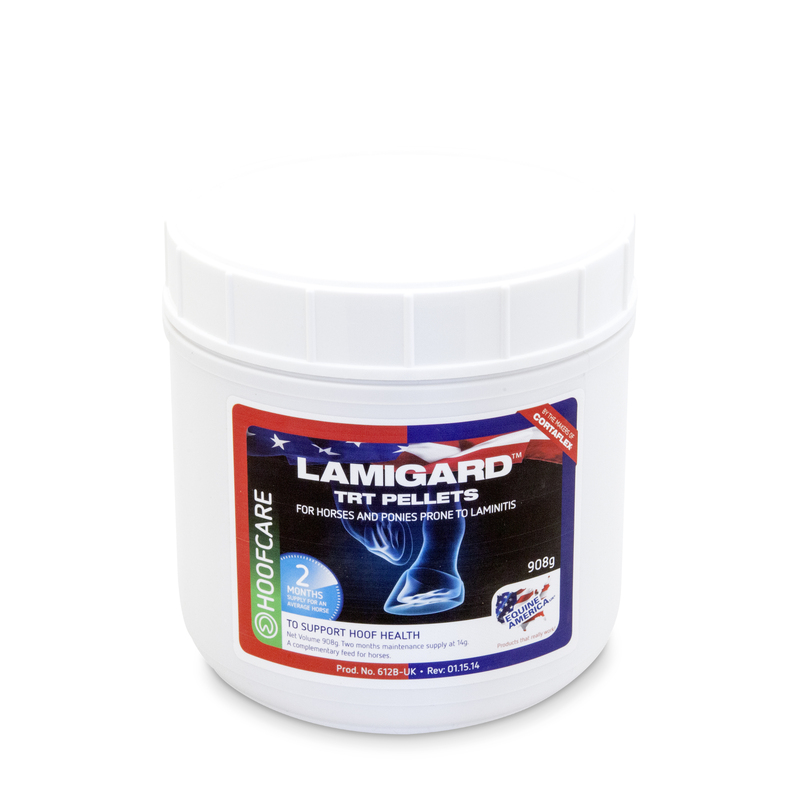 100% safe for in-foal and lactating mares, Lamigard won Horse and Hound's New Product Award in 2001. Dehydrated Alfalfa Meal, Plant Sterols, Botanical Extracts, Biotin, Sulphur. Preservatives: Ammonium Propionate - E280 -1000mg/kg. Anti-Oxidants: Ascorbic Acid - E300 - 1.30mg/kg. (Amino Acids are produced by hydrolysis of proteins). Loading period - Feed 28g for the first 21 consecutive days. Thereafter, for maintenance, feed 14g. Loading period - Feed 14g for the first 21 consecutive days. Thereafter, feed 7g. There are currently no questions for Equine America Lamigard TRT Pellets for Horses - be the first to ask one!